Khan's Supa IGA Group is part of a network of 1650 individually owned independent grocery stores across Australia that play in the highly competitive $A110 billion food and grocery market. This includes store brands such as IGA, Supa IGA, IGA-Xpress and Foodland. 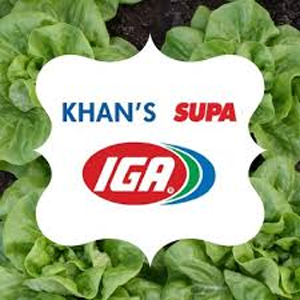 Around 70% of the goods sold in Khan's Supa IGA stores are supplied and delivered by Metcash, with the remainder supplied by individual local suppliers. Listed wholesaler Metcash provides Australia’s widest distribution network for the independent retail sector supported through five major distribution centres and smaller regional centres. It recently announced it is chasing sales growth by spending $A300 million over five years buying and refurbishing stores, opening small stores and ramping up digital investment to cater for growing consumer demand for convenience. Previously, paper invoices would be delivered to the widely dispersed Khan's Supa IGA Group store locations along with the grocery deliveries, these would then be delivered to Head Office in Picton NSW. The approval process involved shuffling a manila folder full of paper invoices from AP Clerk to Finance Manager to CFO and required manual data entry. Australian solution provider DataDevice, Specialists in Digital Transformation and Process Automation, began exploring a digital solution in 2015. As well as the typical problems with managing paper invoices, Khan's Supa IGA Group was keen to provide better visibility, access information on finger tip from anywhere and obtain Clarity of Charge Through. There was also the potential to eliminate manual stocktakes at individual stores and help prevent potential Double Payments, when a duplicate payment is made to Metcash and the same invoice paid to the product vendor. To initiate the digital transformation of invoice processing, DataDevice began by exploring the internal systems at Khan’s Supa IGA to assess the potential for tighter integration. Khan's Supa IGA Group use the Attache accounting system for financials and payroll, World Smart Point of Sale (POS) software and BAS-X for centralized stock management, pricing, barcoding and supply chain management. Each store has its own POS system and database for stock on hand reporting. DataDevice Account Manager Rob Dawson said, “When we began looking into this project, Khan's Supa IGA were mailing back boxes of invoices from each store to head office and having to manually enter the data. DataDevice is providing the solution on a hosted platform deployed at Khan's Supa IGA Group head office in Picton, NSW. For non-Metcash invoices, ABBYY FlexiCapture provides the OCR capability as well as Intelligent Data Extraction to extract all of the required invoice information (header, footer and line item data) from scanned images and non-text searchable PDFs. Once the data held in Laserfiche is reconciled and approved, a payables file is uploaded to Attache to be placed in the next EFT funds transfer run. Reducing the frequency of in-store stocktake and eliminating the potential for stores purchasing more than required. Faisal R. Bajwa, Manager Group Controller for Khan's SUPA IGA Supermarket Group, said, “The new solution has saved a lot of work in our stores and helped us transform to paperless operation. “We have 11 stores spread across the state in some very remote areas and in some cases it was a 10 hour drive to get all the invoices back to our head office. After installing a suite of Epson multifunction scanners for store invoices and implementing the DataDevice automation workflow, invoices are now swiftly available. “We have reduced a lot of our labour costs and paperwork, because once documents are scanned, they can be thrown away, nobody needs them. Simply removing the filing cabinets in our head office that were used to store photocopies of invoice gave us room for five more staff workstations. “Also, as we get the invoices into our system much more quickly. we can pay our suppliers more promptly which improves the relationship. “We are now capturing much more information in realtime which is assisting us to optimise our stock purchasing,” said Mr Bajwa.